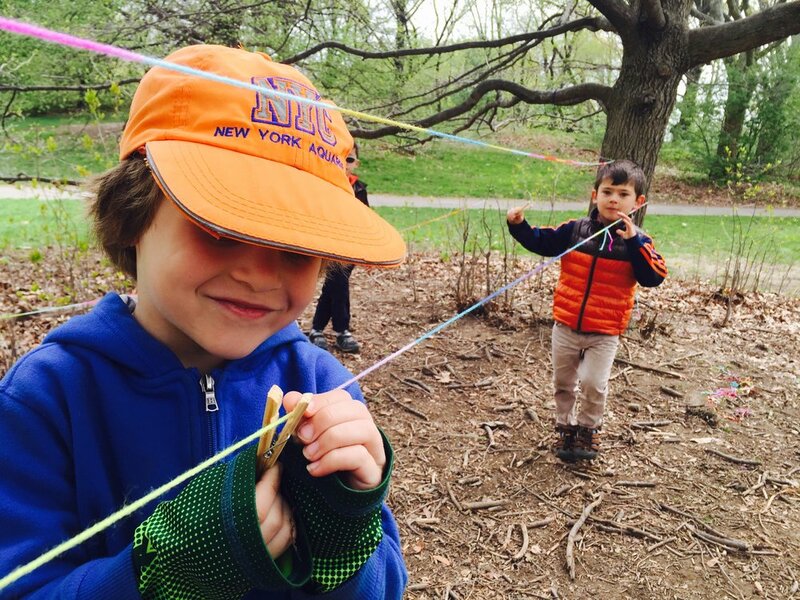 Our classes allow the kids the freedom to actively learn, while regularly immersing themselves in nature in the heart of Brooklyn. 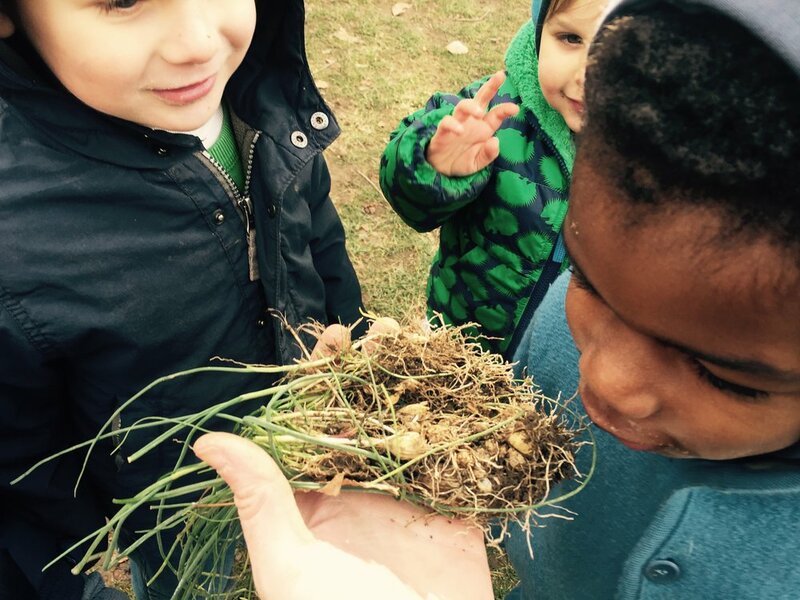 Using the seasons, plants, and animals as inspiration, and provided with simple tools and found and recycled materials, the kids are invited to lead the way climbing, creating, singing, digging, painting, and connecting with nature as the backdrop! In the true nature of a forest school, we embrace the weather and meet year round in the sun, rain, and snow! The benefits of time spent in nature for children's health, creativity, confidence, and cognitive, social, and emotional growth are innumerable. We offer a small group size and a low student to teacher ratio, allowing us to move through the park with ease and ensuring all the children are safe and heard as we explore. Classes are open to ages 2-8, and divided into two age groups: early childhood for ages 2-5 and childhood for ages 6-8. When: Families may to choose to attend 1 through 8 days (depending on availability). Please note: We are not offering vacation classes during the February break. Please note: Pickup locations for 1pm are the same as your drop off location. Extended day pickup at 4pm will be at two locations - Grand Army Plaza and Prospect Park West and 9th St. If you would like your child in the same group as another child (friend, relative, neighbor,) the children must be dropped at the same location in the park. Cost: Includes materials and snack. Extended day options available: Families with children enrolled in our vacation classes should pack lunch for their little ones to enjoy during our afternoon adventures. Please note: All lunches must be peanut/tree nut free. Sibling discount - 10% discount on sibling tuition(s), after initial tuition paid in full. To enroll, please complete and submit the form below. We recommend completing this form on a desktop computer rather than your mobile device. If you are enrolling siblings, please submit a SEPARATE form for each child & make a note in the comments section so that our billing department can be sure to apply a sibling discount. NONE. Standard day ONLY please. Notes: Please include any additional comments, questions, or information regarding enrollment below.